The Traders Association are worried that all car parking from Sydney Road may be removed from the street if certain very vocal groups get their way. Change needs to happen for everyone’s safety and interests, but HOW should this happen? WHAT should this look like? Disability tram stops are expected within the next couple of years. After 18mths of meeting with VicRoads, Yarra Trams, Bicycle groups and the traders associations, there has been no clear outcome. We strongly believe the fate of Sydney Road will be decided very soon. We need to have a say in what this looks like! There’s been a push to remove all on-street parking for dedicated bike lanes. It seems that the desires of both motorists and cyclists are taking precedence over the people who live, work and shop in and around Sydney Road. Whether bike or car the strip will become one big motorway with both forms of transport zipping through at 40kms per hour. The sense of place where people walk around and congregate will be gone as it becomes little more than a slower highway. 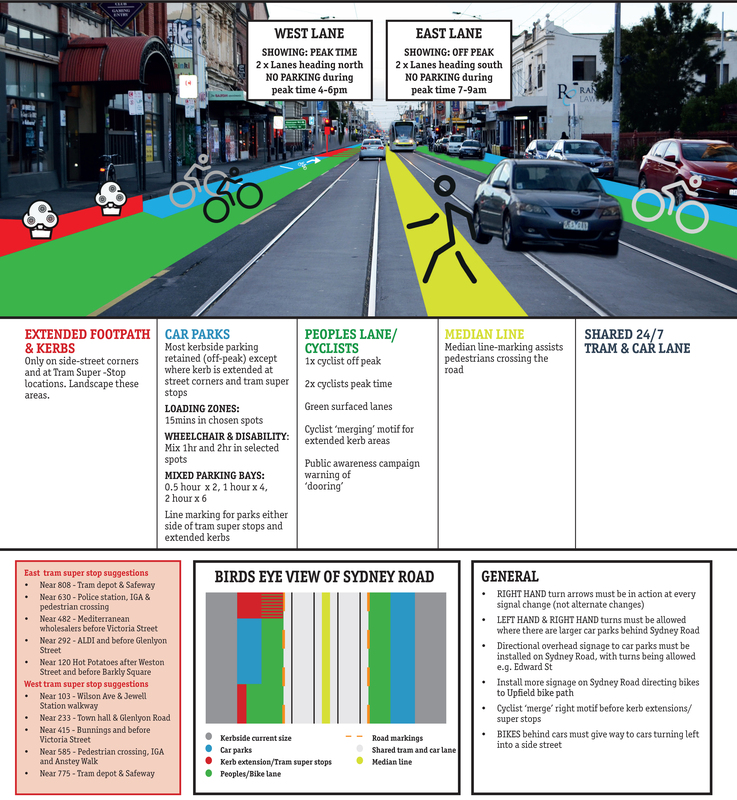 In December 2014 the SRBA undertook a study to examine the issues and concerns relating to overall car parking and the task of sharing the road safely, on behalf of the business sector in Sydney Road Brunswick.